Pamplin Media Group - Innovative health care reforms saved money? Maybe. Innovative health care reforms saved money? Maybe. Officials claim huge Oregon Health Plan savings. The truth is hazy and some say reforms have lagged. Six years ago, to national acclaim, state leaders launched ambitious reforms to a program that touches more Oregonians' lives than any other, the Oregon Health Plan. Today, amid burgeoning costs and political pushback, a different group of state leaders is trying to determine how much of the reforms' original vision can be salvaged and how. It's a surprising turn of events given that publicly, state officials have called the reforms an unvarnished success and have claimed they have saved $2.2 billion. The reforms' claimed savings, however, are in question, and internal documents suggest even Oregon Health Authority officials have been skeptical of what their agency publicly states. The real answer is important as it can inform a new round of reforms that has been proposed for the crucial program. One in four Oregonians — the neediest of them — rely upon the plan for free coverage that includes prescription drugs, doctor visits and treatment for illnesses ranging from cancer to the common cold. Even if you're not benefiting from the state's coverage, you're probably helping pay for it. Last year, state coffers provided $2.3 billion of the Oregon Health Plan's $8.4 billion in overall spending. Whether the new round of reforms can achieve the bold vision laid out six years ago is unclear, but the truth about whether the reforms have controlled costs is important as state officials chart the program's future. 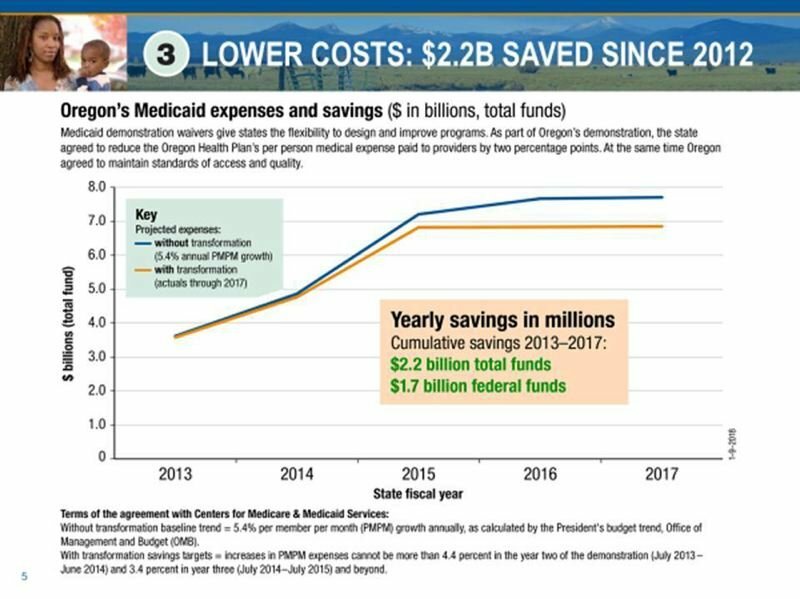 While Medicaid-funded state programs like Oregon's are considered second-rate coverage in many states, then-Gov Kitzhaber in 2011 vowed to turn the Oregon Health Plan into a program that would produce results so stunning that it would revolutionize the health care industry across the state and beyond. The reforms were called, simply, "Transformation." And by restructuring how care is delivered, leading to better care at a lower cost, the program promised to "bend the cost curve" — which is bureaucrat-speak for curbing health care cost inflation. Today, Oregon claims it saved $2.2 billion over the first five years of reforms by holding costs — and the organizations contracted to provide care — to a "sustainable rate of growth." The reforms have "mostly worked," Oregon Health Authority Director Patrick Allen wrote in an op-ed in The Oregonian in October. "More Medicaid patients say they are healthier. Fewer Oregonians rely on the emergency room for basic care, and fewer receive unneeded tests and treatment. These efficiencies helped Oregon taxpayers save $2.2 billion since 2012." But it's unclear whether Oregon's reforms have actually saved money overall, how much, or whether program costs are sustainable. And after years of fervent support of the reforms, their legislative champion in 2011, Rep. Mitch Greenlick, recently announced that he has given up on the original hope that OHP reforms would be so bold and successful that they would transform the health care industry as a whole. 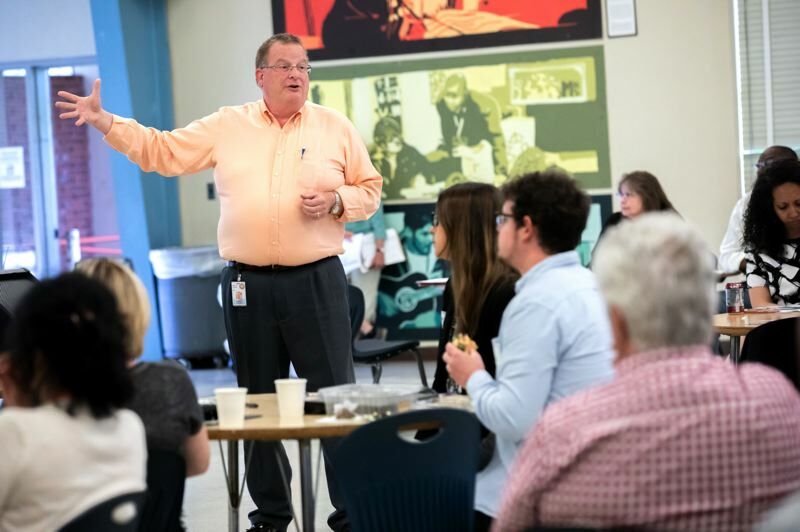 "I think that hope is not going to be realized," he said at a public discussion hosted by the Oregon Health Forum last week, adding that the political power of the Medicaid industry in this state is to blame. While the reforms made needed changes and achieved "pretty good" improvements to how the Oregon Health Plan is managed, Greenlick told the Tribune, they've been far from revolutionary. "There are too many people, too many forces (that want to) keep things the same." "We have not bent the cost curve," he said earlier in the fall. "We have gotten the low- hanging fruit ... That's not been a dramatic change in how we do health care." 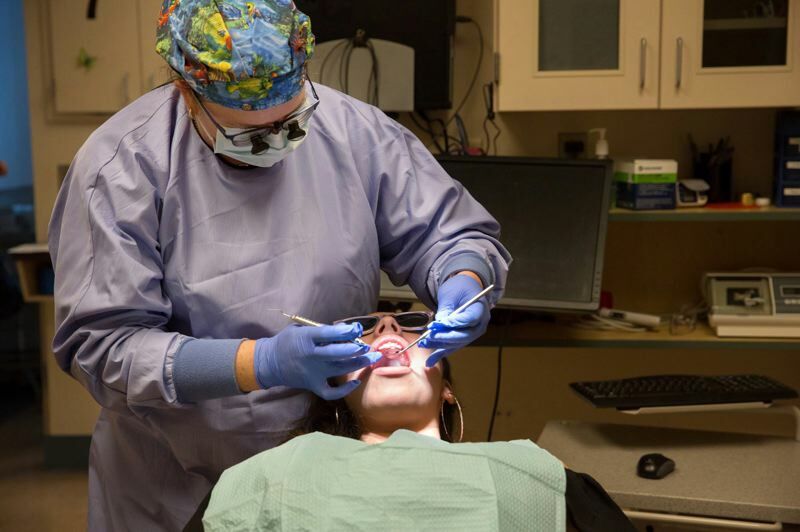 Representatives of the state-designated coordinated care organizations that provide care to the Oregon Health Plan, however, say the reforms have been very successful. Paul Phillips, a longtime lobbyist for the companies, called the reform legislation of 2011-2012 "very good, groundbreaking" and said the result has been "massive change, and all for the most part positive." 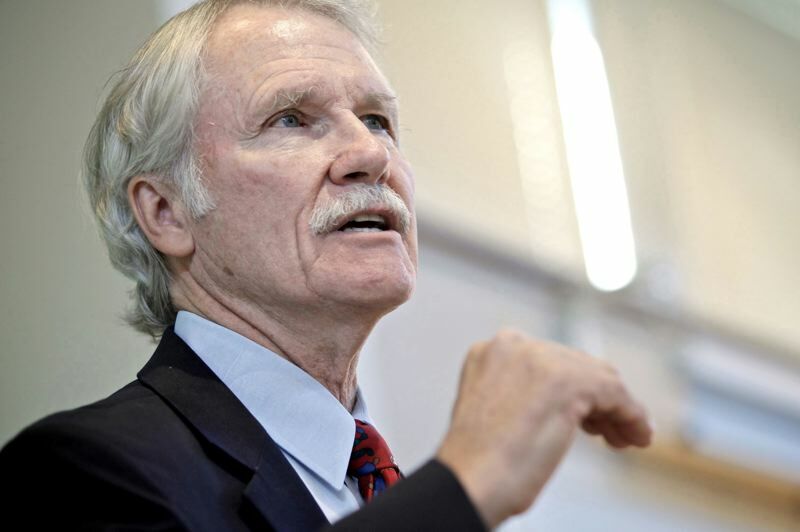 Soon after taking office for the second time in January 2011, Kitzhaber, a former emergency room doctor, unveiled his reforms in the Oregon Legislature. He billed them as a way to tackle costs in a way that 2010 federal legislation called the Patient Protection and Affordable Care Act, known as Obamacare, never did. Oregon had already paid more than a dozen medical managed care organizations to provide care to the bulk of the 600,000 members of the Oregon Health Plan. But the state also paid other organizations, too — caring for mental health and dental care, among other things. Kitzhaber wanted to force all those groups into one kind of regional entity that would receive payments from the state. The new coordinated care organizations would adopt new payment models that would increase efficiency and eliminate the old system's practice of paying for each procedure, which experts agreed has led to massive waste in U.S. health care. In the end, 16 such companies' applications were approved, scattered around the state. And they agreed to report on measures of care to ensure quality. The reform plan drew national accolades, including breathless coverage from nationally known health care journalists in prominent publications like The Washington Post. "Is the future of American health care in Oregon?" read one Post headline in 2013. "Can Oregon save American health care?" said another. And Kitzhaber, for his efforts, enjoyed national celebrity, named the second-most influential person in all of health care by Modern Healthcare magazine in 2013. At the heart of the reform plan was money and the need to save it. In 2011 Oregon lawmakers adopted a state budget with a $640 million hole in it, premised on hypothetical savings from health care reform that would fill the gap. In 2012, Kitzhaber reached a deal with federal officials, who pay for most of the Oregon Health Plan via the Medicaid program. The state agreed to limit its future cost growth in the Oregon Health Plan to 3.4 percent per year on a per-member basis. In return, it would receive $1.9 billion in federal funds that amounted to a down payment on reform. The up-front federal payment was $620 million, just enough to fill the budget hole created by hypothetical savings. At a press conference celebrating the deal, state Sen. Laurie Monnes Anderson, D-Gresham, quipped that "The scariest part of this moment was when we were trying to get the (2011) budget passed on money that we didn't have." Under the terms of the deal with the federal government, called a waiver, Oregon was to repay the federal government with its curbs on cost growth — which represented a 2-percent reduction compared to an assumed rate of growth that state officials had negotiated with the federal government. That baseline, of 5.4 percent, was billed as a national estimated cost trend. A funny thing happened on the way to the revolution. Instead of tightening the belt of the Oregon Health Plan, the first few years of reforms saw massive profits pour into the coffers of the 16 regional coordinated care organizations. The profits were caused largely by excessive rates paid to the groups by Oregon under federal rules. The rates had been set based on an overestimation of the medical needs of the 450,000 Oregonians who were added to the plan under the Affordable Care Act's expansion of Medicaid. The profits enjoyed by individual CCOs ran as high as 27 percent, more than tenfold the normal Medicaid profit margin. And that created a quandary, considering that Oregon's official position remained that the reforms were saving billions for the federal government. Oregon officials were forced to make difficult choices about what information to share with the public, and what not to disclose — which is precisely what occurred in October 2016. That's when Oregon's then-Medicaid Director, Lori Coyner, responded to draft language in a press release which noted that nationally, the average profit margins, or 'gains,' in managed care entities similar to Oregon's coordinated care organizations tended to run about 2 percent. "I am not certain we want to highlight that our gains are higher than the national average in the press," Coyner wrote in an email to top agency officials and its public relations staff, which was obtained under Oregon's public records law. "It kills our argument to the Feds that we are bending the cost curve and saving billions." "The Oregon Health Authority is fully transparent with the public about the rates the state pays coordinated care organizations to serve people on the Oregon Health Plan, as well (as) the health outcomes CCOs deliver for their members. These rates are not used to calculate the savings Oregon's Medicaid reforms have generated. In an agreement with the federal government, Oregon pledged to hold health care costs for specific Medicaid services to levels below what Oregon had spent in the past and lower than federal officials expected them to rise in the future. Oregon fulfilled its pledge. "Medicaid Director Coyner's email expressed her concern CCO cost and rate increases could be confused with the state's federally-approved cost containment targets when OHA released the proposed rate increases for the 2017 contract year." In the same email string that Coyner participated in, actuaries for the state noted that the federal government had lowered its estimates of future cost growth nationally to 3.6 percent. In any event, the early windfall some CCOs enjoyed under Oregon's reforms have subsided. Over the last few years, profits have shrunk and many CCOs have lost money, according to their publicly filed financial statements. In the first five years of the waiver, the state held the per-member cost growth, including the rates with which it paid CCOs, down to the required cap agreed upon with the federal government: 4.4 percent growth in the first year, and 3.4 percent thereafter. It's the gap between those actual numbers and the 2012 projection of a national 5.4 percent growth trend that state officials cite to claim savings. But there's a catch: The real life cost growth on the national level has not kept pace with the 5.4 percent national projection incorporated in Oregon's 2012 agreement with the feds. According to national Medicaid figures published in the journal Health Affairs and shared with the Portland Tribune by federal government actuaries, overall per-member Medicaid spending has gone up an average of 2 percent between 2013 and 2017. Even if you go with a narrower slice of Medicaid spending called "acute care," which experts say is more appropriate for comparing to Oregon's reforms, Oregon's cost hikes of 3.4 percent a year likely didn't save much money, if any. That's because acute care hikes have typically run around 1.5 percentage points higher than the overall Medicaid real-life overall growth number of 2 percent, reports show. Oregon's actual cost growth of 3.4 percent a year is "comparable" with what the Henry J. Kaiser Family Foundation Program on Medicaid and the Uninsured determined was a 3.1 percent Medicaid acute care growth trend for 2010 through 2013, said former federal official Robin Rudowitz, an associate director for the program who researches Medicaid costs. As far as the waiver's use of a 5.4 percent trendline, Rudowitz said the use of a "fictitious baseline" to calculate savings is often used in federal government, and similar numbers are heavily negotiated in federal waiver agreements like the one Oregon reached in 2012. But it's often hard to calculate actual savings later on. Rudowitz was echoed by John Holahan, a fellow for the Health Policy Center at the Urban Institute who also studies Medicaid cost growth. Holahan said the 5.4 percent baseline the state agreed to in 2012 appeared "generous" to him, considering that previous growth rates had been much lower. "It seems like the trend that they compared themselves against was a generous one," Holahan said. "You could certainly have made the case that the benchmark should have been lower." But the longtime reform proponent said the short-term savings question was less important than the lessons learned from Oregon's changes. "Whether they work or not, I think it's a good thing to be trying new things," he added. "If it saved money or not, there is some value in testing new approaches." Kitzhaber, for his part, did not respond to requests for an interview made through a spokesman. In October he told the Portland Business Journal that the state's CCO-driven cost growth would have been less than 3.4 percent a year —meaning greater savings — if not for rising pharmaceutical and hospital costs. Oregon Health Authority documents analyzing CCO rate hikes, however, don't appear to back up that claim. And CCOs have reported that their underlying expenditures have been over 7 percent a year over the last three years-- double the state's adopted target. As a result, CCO reimbursement rates paid by the state have now exceeded the 3.4 percent growth target for two years running, with over 5 percent increases each year. Dr. Bob Dannenhoffer, a former CEO of the coordinated care organization serving Douglas County, is not surprised that the reforms didn't save money — or at least not as much as expected. "It's not like we saved a lot of money, and that's actually not shocking," he said. "Think of what we did — we covered a lot more people, we covered a lot more things." Dannenhoffer argued the big thing the federal government gained from the agreement was that expenses would grow predictably, not "willy nilly" as it typically does. Allen, who inherited the reforms cost-savings calculation from the previous administration, said he still thinks the savings figure is valid. He says national per-enrollee spending may have come down because other states were adopting reforms or making other changes to deal with short budgets. He cited a study released earlier this year by Oregon Health & Science University, in which a team led by economist John McConnell evaluated the reforms and found evidence that they are working to slow inflation, as well as improving care. "The McConnell work validates that (the savings claim) was more or less accurate," he said. McConnell, however, was measured in his comments to the Portland Tribune, saying he found "promising signs" in the data that the reforms pursued by Oregon were "moving in the right direction" using methods that appeared to be sound. "There are probably lots of areas where it could be improved," he added. Other observers point out that initiatives launched by the reforms, including better health screenings, could improve health and cut costs over time. Dr. John Santa, a former Oregon health official and longtime healthcare leader who now sits on the board overseeing the Oregon Health Authority, said a new round of proposed Oregon Health Plan reforms — that his board has hammered out over the past year to better monitor the coordinated care organizations and ensure care improvements — is now even more important, to build on the first steps undertaken by Oregon. While it appears Oregon lucked out in the beneficial terms of its deal with the feds, "that never keeps happening," Santa said. "Eventually the cycle comes back and you've gotta outperform the cycle." 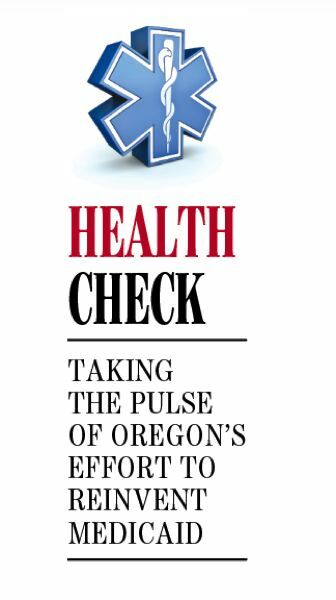 This is the third article produced by the Portland Tribune's participation in the Reporting Fellowship on Health Care Performance, which is supported by the Commonwealth Fund and sponsored by the Association of Health Care Journalists.